Many thanks to members of the Australian Teacher Librarian group who helped combine this list of picture books that are about some kind of change. Change can be scary for kids, but luckily books can help prepare us and reassure us. Some change in the books suggested below is in children’s lives; in others the change is environmental. 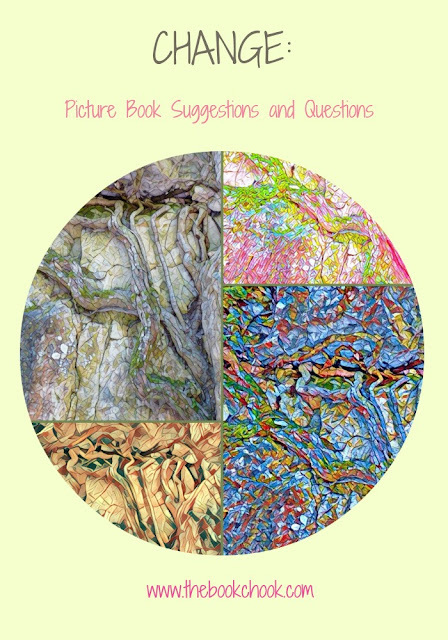 UPDATE: Below you will see a Listly list of picture books about change that I will add to over time. I am a polar bear. I live on an ice floe. I lead a quiet and peaceful life with my friends. But that was before the BIG CRACK. Now we are alone. When Polar Bear and his friends are swept away from their icy home, they hope to find refuge in a new land. But when they are turned away from one new place after another, they start to doubt that they will ever find somewhere they will be made welcome. In this exceptional book, the award-winning Barroux has crafted a powerful story with a twist ending about hugely important and current issues. Welcome has an environmental message that is not heavy-handed. 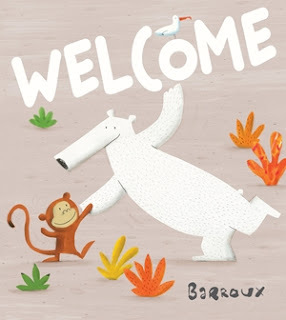 The words Barroux chose to present the tale are very simple, and his colourful and humorous illustrations will ensure that kids understand the message - some day it may be them who needs to find a new home, just like the polar bears in the story. How would they like to be treated on that day? Where’s the Elephant by Barroux also has an environmental message. My review. Window, Belonging (my review), Where the Forest Meets the Sea, all by the wonderful Jeannie Baker. On Sudden Hill by Linda Sarah and Benji Davies. My review. A Year on our Farm by Penny Matthews and Andrew McLean. Sad the Dog by Sandy Fussell and Tull Suwannakit. My review. My Place by Nadia Wheatley and Donna Rawlins. The Brothers Quibble by Aaron Blabey. My review. Feathers for Phoebe by Rod Clement. My review. John Brown, Rose and the Midnight Cat by Jenny Wagner and Ron Brooks. Lucas and Jack by Ellie Royce and Andrew McLean. My review. Paul Meets Bernadette by Rosy Lamb. My review. The Very Best of Friends by Margaret Wild and Julie Vivas. The Duck and the Darklings by Glenda Millard and Stephen Michael King. My review. Grandad’s Island by Benji Davies. My review. The Treasure Box by Margaret Wild and Freya Blackwood. My review. Davy and the Duckling Margaret Wild and Julie Vivas. My review. Bridie's Boots by Phil Cummings and Sara Acton. My review. A Year with Marmalade by Alison Reynolds and Heath McKenzie. My review. My Perfect Pup by Sue Walker and Anil Tortop. My review. How to Heal a Broken Wing by Bob Graham. My review. Azzi in Between (graphic novel) by Sarah Garland. My review. Cyclone by Jackie French and Bruce Whatley. My review. * Did you notice anything in the story that was a change of some kind? I wonder why that might have happened? * What changed from the beginning to the end of the story? Why do you think that was? * Is change always a good thing? Why? Why not? * How can we help ourselves and each other cope with change/changes? * What changes can take place in the way we feel about something? * What changes happen in people's lives? * Have you noticed any changes happening in yourself or in your life?